I flattened Coren Direbrew on at least three characters every single day and this is what I received. It seems that the drunken gods of Brewfest favour me far more than the frosty gods of Midsummer but I wouldn’t have said no to a ram. I’m also now a Brewmaster on three characters. My longest tussle with Mr Direbrew was 53 seconds. Although that was a pretty weak group including a lv 78 rogue who died somehow. The best was around 14 seconds which really was a blink and you’ll miss it feeling. Out of all the bits and pieces I picked up, my favourite has to be the Dire Remote. At the moment I’m farming the last little bit of rep I need to for exalted with the Hydraxian Waterlords and being able to port to the Bar and then run through the last little bit of the instance into Molten Core makes it so much quicker and easier. Plus being able to grab a dwarf disguise whenever I feel like it, without having to trek all the way to Blackrock Mountain is awesome (yes I’m lazy). 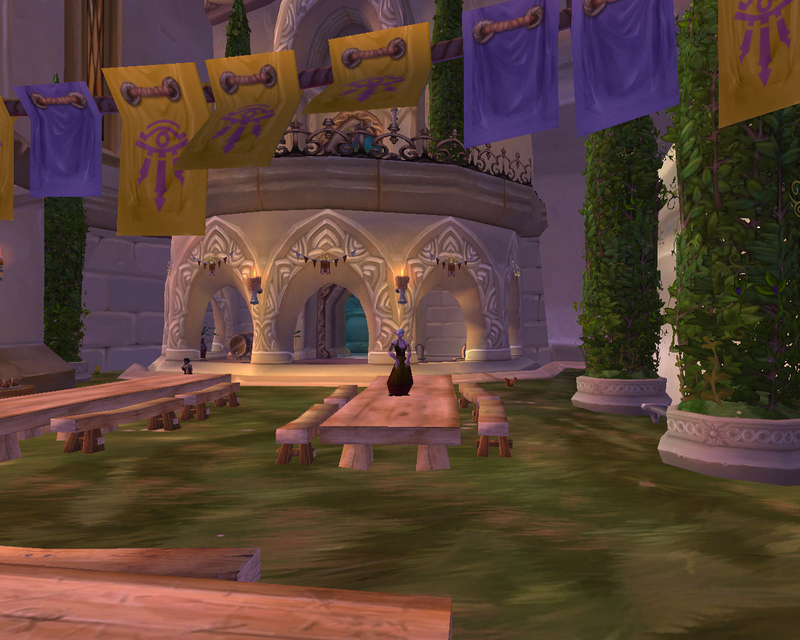 Over all, Brewfest is still one of my favourite festivals. Sure Coren could have a done with a few ICC runs to boost his gear but this close to the expansion, I admit I’d rather they were working on new shiny stuff rather than upgrading a two week holiday. 1. Mini Pets. Vampire rabbits with twiglets and pink pachyderms are some of the cutest festival pets out there. 2. The Food. Who can resist sausages, spiced onion cheese and pretzels washed down with icy cold beer. 3. Ram Racing. Please Blizzard can we get some form of temporary speed boost in Cataclysm. I find it rather addictive and keep getting into races with passing strangers. 4. Dwarfen Angels. My Bubbling Brightbrew charm summons the best kind of angel, one who throws you beer. 5. Kodo/ram acquiring. Although I’m wondering if the drop rate was increased a little too much this year as every second player in Ironforge, my hunter included seems to be riding around on a kodo. 6. The clothes. I spent a lot of my childhood holidays in Bavaria and as a result have a thing about dirndl’s. This seems to have spilled over into the game. 7. It gives a reason to visit the Grim Guzzler, the best drinking establishment in Azeroth. 8. The goggles that turn everyone into female orcs/male gnomes. Ok, I could use them all year around but I tend to forget about them the rest of the year. Nothing helps you win raid encounters than the sight of fearsome bosses running around as semi naked gnomes in chain mail underpants. 9. The bubbles on this year’s Brewfest signs. Power word: shield or Divine Aegis need a similar graphic adding on. Lots of pretty little bubbles circling the larger one. 10. Buying cheese from Anne Summers makes me smile and not for any possible Buffy reference. Although you might have to live in the UK to understand why. One thing that bugs me however is why do all 10 races, coming from a variety of cultural backgrounds and in the case of some different worlds, celebrate the same festivals in exactly the same way. 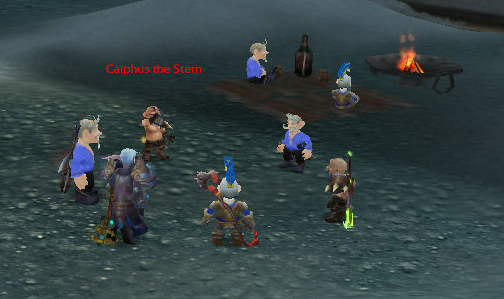 Why can’t we have something like “Brewfest” for the Alliance as it seems to be a very Dwarfen festival and some form of Carnival for the Horde. The principle would be similar, lots of drinking and partying but the “flavour” would be slightly different and perhaps more suited to the races involved. 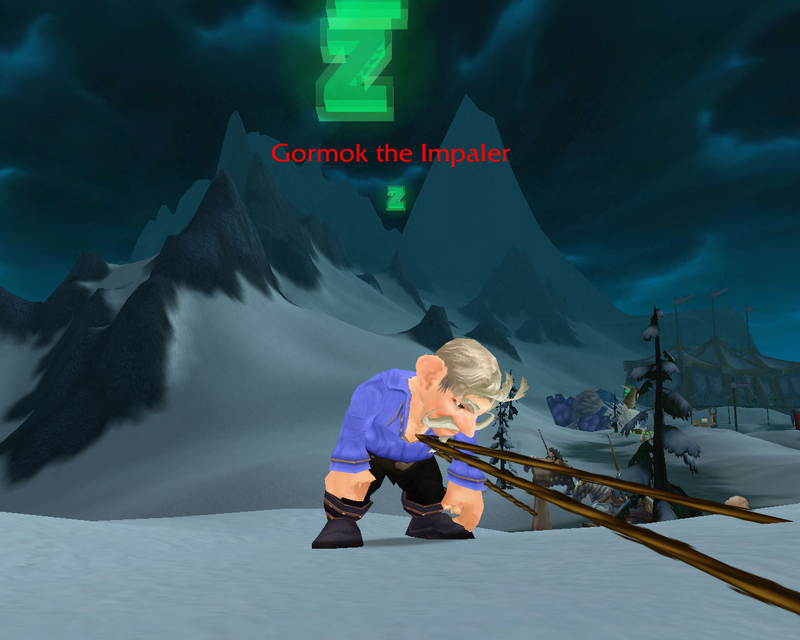 Dirndl’s and lederhosen aren’t what springs to mind when you think of the average troll in game after all. To combat people whining about “they get better rewards” and so on, there could be lots of BoE items or recipes involved allowing both sides to access items through the neutral AH but it would add a little extra spice. 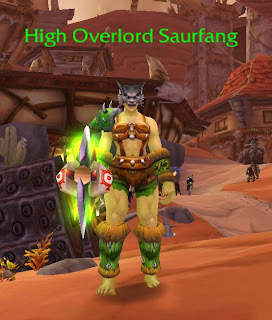 Instead of fighting Coren Direbrew, the Horde version might involve going to Zul’farrak and dealing with some naughty party crashing rum stealing Troll who would obviously drop the same items but with more suitable names. Profession wise, tailors would be able to make the chest pieces, perhaps in a variety of colours. Leather workers would get the footwear and possibly the hats. Maybe add an engineering recipe for the direbrew remote and add a similar version that send you to Zul’farrak. Lots of cooking recipes could be added, allowing cooks access to themed food all year around. Just a little extra to make the festivals feel a little more exciting, rather than being identical regardless of the faction you play. Nothing says scary like a giant gnome.. I can’t help but wonder if he actually looks more scary this way or not. It does however raise interesting questions about just what he uses to impale the tanks…. eek. 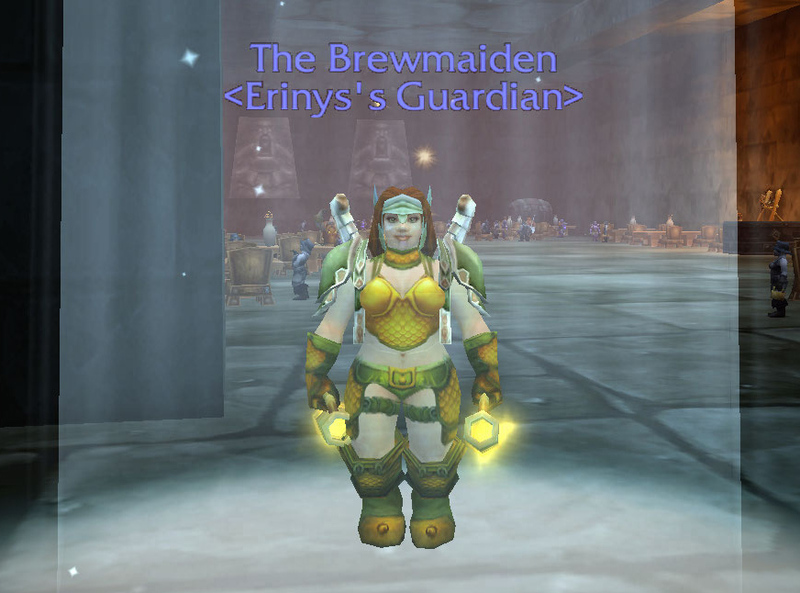 The best thing about Brewfest is the romantic goggles, if they had stats i would never take them off. Whilst this is far from my favourite festival, I love the ram racing and am trying to improve on my personal best of 11 runs in one go at the moment. I think 13 at least is possible, particularly on the alliance side which seems much easier than the horde one, due I think to the placement of the apple barrels.